While Utah’s superb business climate is unquestionably one of the top reasons businesses move here, Utah’s quality of life remains a major selection factor for both corporations and people looking to relocate to our state. However, one factor that can negatively affect our quality of life is poor air quality. That’s why, for the last 10 years, the Salt Lake Chamber has partnered with TravelWise and UCAIR to host the Clear the Air Challenge—a month-long competition designed to encourage Utahns to reduce their vehicle emissions by choosing alternatives to driving alone. Thankfully, more and more businesses are recognizing the impact poor air quality has on our economy and have made it their business to work towards improving our air. One way they’ve been able to do so is by encouraging their employees to take part in the Challenge and incorporate TravelWise strategies into their commutes. Currently, about 48% of the emissions that make up Utah’s poor air quality come from vehicle tailpipes. To reduce the number of cars on the road and lower their company’s overall carbon footprint, many Utah businesses have implemented teleworking programs, or have allowed for flexible work schedules so that employees can commute outside of peak travel times, saving time and cutting down on both emissions and congestion on our roadways. Others encourage and incentivize carpooling. Then there are those Utah companies who provide transit passes or fare reimbursement for those employees who use public transit. 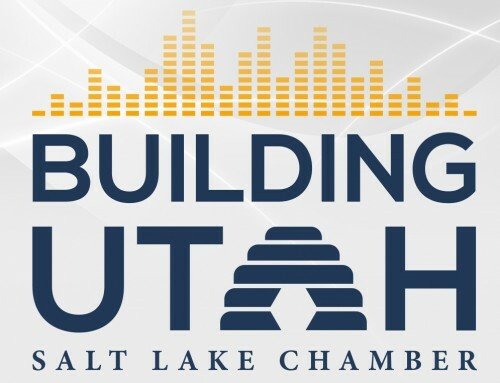 As Utah’s business community works together and continues to take the lead in improving our air quality, we can collectively reduce the adverse effects of air pollution, ensure our economic success and enhance the well-being of all Utahns. Join the growing number of Utah businesses committed to clean air and participate in the Clear the Air Challenge taking place this month. For more information on the Clear the Air Challenge and what TravelWise strategies your company can implement, visit cleartheairchallenge.org.